Winery Spotlight: Domaine Chandon - Australian Wine Tour Co.
Boasting the only claim to true French winemaking heritage in Australia, the Chief Vigneron Domaine Chandon arrived in the Yarra Valley in the mid-80’s, ready to make his mark on the landscape of Australian sparkling wine. In a serendipitous turn of events, Winemaker Robert Jean de Vogue landed on a spot that couldn’t have been more perfect for what Domaine wanted to do- an old & misty dairy farm tucked away at Green point in Victoria’s beautiful Yarra Valley, the cold-climate and rich soil perfect for the traditional white sparkling wines they wanted to produce. They’ve since been producing some of Australia’s most popular sparkling and white wines indicative of the classic Chandon Style that has become renowned all over the world. Robert-Jean de Vogüé, Head of Moët & Chandon at the time, perceived the great potential for new world wine-growing regions to produce best-in-class sparkling wines. It was with this open-minded spirit that he set out to explore new regions and formed Bodegas Chandon in Argentina in 1959, followed by Chandon wineries in Brazil and California in 1973 and then Domaine Chandon Australia in 1986. In 1987, our Yarra Valley “Green Point” site was purchased and in October of that year, the first Chandon vines were planted. 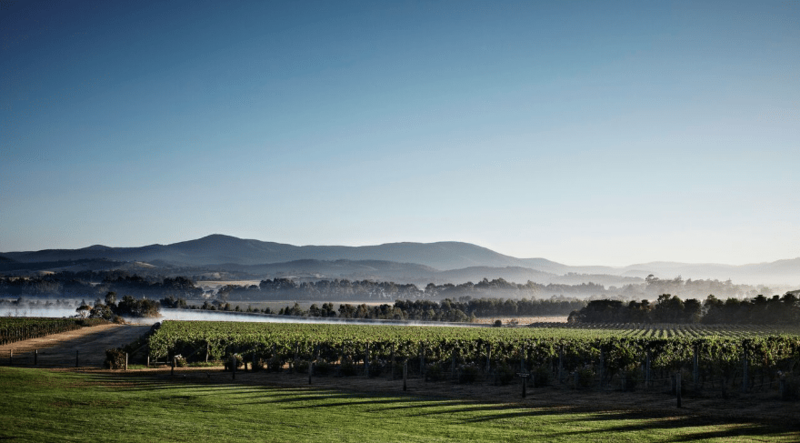 Fast forward almost three decades and we’re now one of the most popular wineries in the Yarra Valley. When Chandon was founded, the Australian market was booming with Champagne, still wines and carbonated sparkling wine but a gap in the market presented to create a premium, méthode traditionnelle sparkling wine in Australia. This has been our single-minded focus since our foundation. 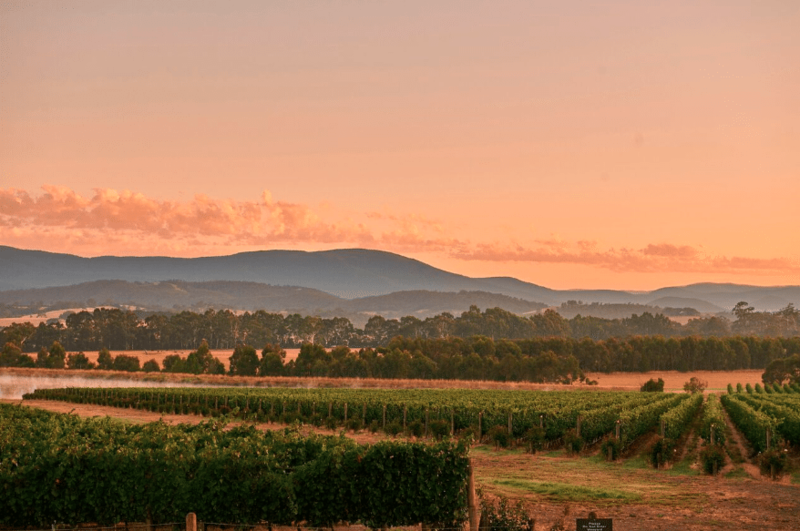 While starting out in the Yarra Valley, we have since secured another two estate vineyards – one in the Strathbogie Ranges and the other at the Whitlands High Plateau. The breadth of our vineyard resources ensures we will continue to make high quality méthode traditionnelle sparkling with a distinctive Australian signature. What type of wine and champagne do you specialise in? Chandon Brut NV is the clear bestseller across Australia and the core of our business today. However, as we started as a vintage wine business, the craft of making vintage sparkling wines is still an important part of our offering. A visit to our cellar door provides the opportunity to experience one of the largest ranges of vintage méthode traditionnelle sparkling wines in the country. At the top end of our range is Late Disgorged – our timeless, long yeast age wines. We also balance this with new innovations such as Chandon S – a refreshing sparkling wine blended with handcrafted orange bitters and served over ice. We hold the unique position of being a modern sparkling specialist with genuine French heritage. Our Domaine Chandon’s traditions hail from the grand Champagne house Moët and Chandon, but their expertise is firmly planted in cool-climate Yarra Valley wine country. It is here that Chandon’s signature sparklings, wines with delicious méthode traditionnelle complexity and finesse, are crafted. Prepare to be wowed as you taste your way through their collection, go behind the scenes on a tour and/or experience the wines come alive with perfectly paired dishes in their restaurant. Experience Chandon your way, surrounded by stunning views of rolling hills and verdant vineyards. Sunday School, Domaine Chandon’s wine masterclass, runs every Sunday from 10:30am – 1:30pm and bookings are essential. Sunday School takes you behind the scenes as you discover how sparkling wine is crafted using méthode traditionnelle techniques, learn how the professionals taste, explore how each grape variety influences the wine’s character, and enjoy perfectly paired canapés. Lunch is available daily from 12:00pm to 4:00pm for you to experience their wines come alive with dishes expertly prepared by Executive Chef Joshua Smyth and his team. 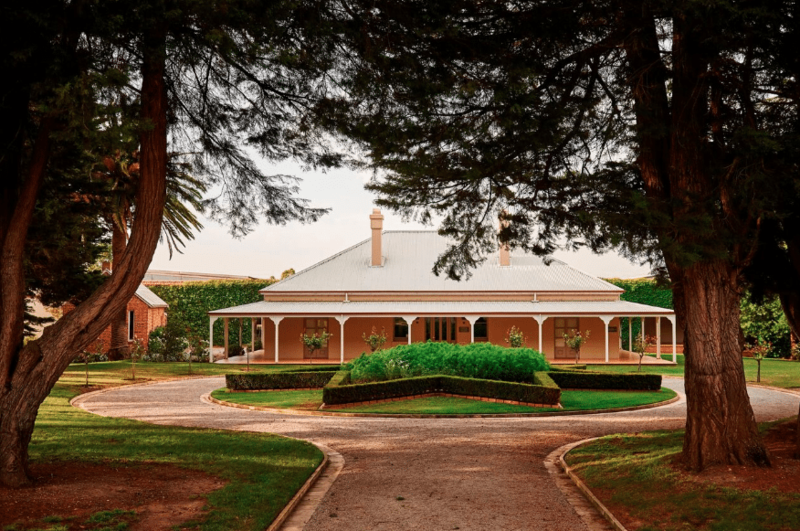 Domaine Chandon’s traditions hail from the grand Champagne house Moët and Chandon, but their expertise is firmly planted in cool-climate Yarra Valley wine country. It is here that Chandon’s signature sparklings, wines with delicious méthode traditionnelle complexity and finesse, are crafted. Prepare to be wowed as you taste your way through their collection, go behind the scenes on a tour and/or experience the wines come alive with perfectly paired dishes in their restaurant. Experience Chandon your way, surrounded by stunning views of rolling hills and verdant vineyards. Lunch is available daily from 12:00pm to 4:00pm for you to experience their wines come alive with dishes expertly prepared by Executive Chef Joshua Smyth and his team.traditions hail from our founder – Champagne house Moët and Chandon – but our expertise is firmly planted in cool-climate Victorian viticulture. We produce premium sparkling wines utilising the same grape varieties and techniques used in the Champagne region of France. Combined with the finest quality fruit, méthode traditionnelle winemaking (the process of fermenting wine a second time in bottle) produces wines of finesse, complexity and elegance. The quality of our sparkling wine was recognised when Chandon Prestige Cuvée 2005 was crowned the national trophy for Best Australian Sparkling Wine for at the 2016 Champagne and Sparkling Wine World Championships. Do you have an on-site restaurant, or do you offer any food tastings (like cheese platters)? If yes, what type of food do you offer? Our Restaurant embraces a modern seasonal menu with a French twist, to be enjoyed with matched wines. Beautiful interior design by leading design practice Foolscap Studio, indoor and outdoor seating and panoramic views of the winery’s spectacular Green Point vineyard complete the Restaurant experience. In addition to the Restaurant, the winery’s Lounge Bar has a relaxed wine bar ambiance and offers a menu of share plates and wine by the glass or bottle. Located in the heart of the cellar door, its centrepiece is a statement seating banquette with direct views over the winery’s vineyard. Hanging above the Lounge Bar is a playful kinetic mobile, expressing the unpredictable nature of bubbles. Do you cater for special events, if yes please give a brief run-down of your services? Every Sunday, Chandon offers its wine education program, Sunday School. 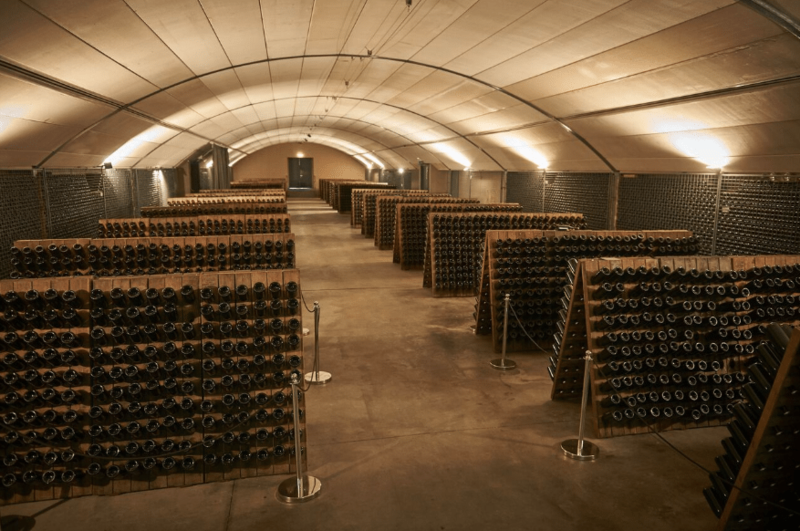 This unforgettable Chandon experience takes you behind the scenes as you discover how 250 years of Champagne history and Australian expertise goes into every bottle of Chandon sparkling. Whether you’re a beginner or a wine enthusiast, our resident wine experts provide an enlightening wine class with a difference where you will learn how the professionals taste, explore how each grape variety influences the wine’s character, and enjoy perfectly paired canapés. Chandon also sometimes hosts exclusive events for its Étoile Wine Club. 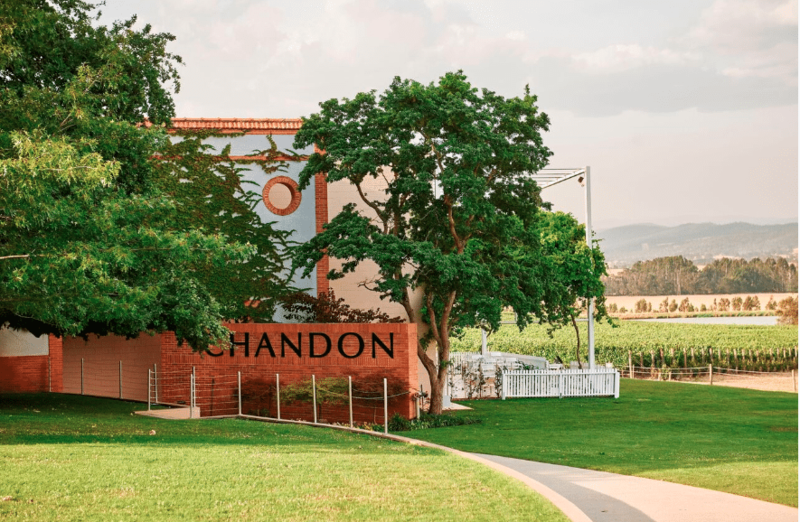 In joining the club, wine lovers are welcomed into the magical world of Chandon, complete with limited-release wines delivered to the door, complimentary Chandon Sunday School admission, Q&As with our winemakers and sparkling savings at our cellar door. In December 2017 we launched a sparkling new renovation of our hospitality centre to enhance the visitor experience on-site and accentuate our vineyard location, widely considered to be the most spectacular in the Yarra Valley. Our winery experience caters for a range of education levels and experiences. Whether visitors want an in-depth discussion at the tasting bar about méthode traditionnelle winemaking, or simply want to grab a glass of sparkling and sit on our outdoor terrace, there’s an experience to suit every taste. On Chandon’s doorstep, Healesville Sanctuary is one of Australia’s most loved tourist attractions and the best place in Victoria to see and interact with native Australian wildlife in a stunning bushland setting. The Yarra Valley Dairy offers delicious artisan cheeses while Four Pillars Gin provides a modern distillery experience. Chandon was named the Yarra Valley’s STAR winery in the 2018 Gourmet Traveller WINE Best Cellar Door Awards. The country’s leading wine writers scoured every region in search of star wineries, top tasting experiences and places that serve first-class food. In determining the winners, wineries were assessed on the quality of wine, staff knowledge and service, stemware, food, atmosphere, venue, location and how these factors combine for the complete Cellar Door experience.